If you want to own a retail business you need to understand that the retail industry is not for the faint-hearted, It can be downright hard work and often requires the right attitude to achieve success. If you want to own a retail business you need to understand that the retail industry is not for the faint-hearted, It can be downright hard work and often requires the right attitude to achieve success. Not to worry though, you have come to the right place if you are about to start a retail business as we have crafted this article just for you. 1. Know your mission and vision: To be able to thrive in the retail business, it is important to know your “why” in the first place. Successful retailers know the reason for their business’s existence. Knowing your why helps you understand the mission and vision. It helps you relate to why your business does what it does. It gives you clarity of purpose and focus. You can consistently produce, source, and sell the right products when you follow a specific vision. 2. Get advice from those who have done It: No matter how much you think you know about running a new business, admit it to yourself the fact that some of the people in the retail industry would know much more than you on certain topics so don’t be scared or proud to reach out with them before embarking on the journey. 3. Time management: Managing your day wisely is crucial to success in retail and this is a quality that should be maintained in order to be successful. This is essential because when you have the right POS and Inventory tool for your business it prevents your customers from wasting too much time on the queue which eventually improves the customer experience and spending too long on recording your inventory. 4.Have faith and trust in your technology: Clunky cash registers are obsolete. In our modern business world, efficiency is tightly tethered to the reliability of the technology that supports business. 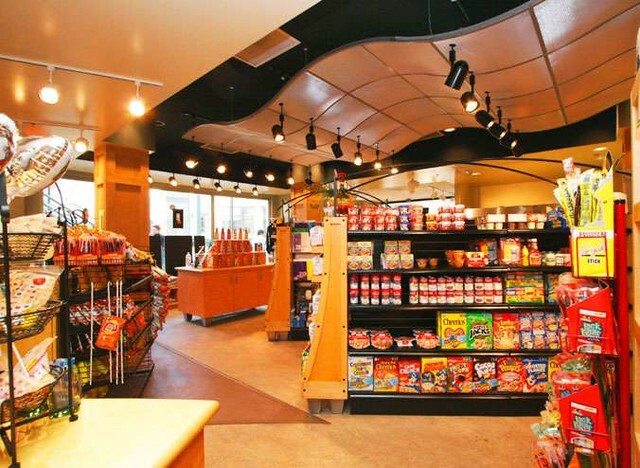 A sleek, state-­of-­the-­art POS system can be a dependable resource for your store. Inventory tracking, transaction data, and reporting options give you the tools to run your business effectively. An inventory-tracking feature means you’ll know when you need to reorder and restock items. You’ll be able to manage vendors and purchase orders accordingly. Having a good reporting system enables you to determine top­-selling items and optimize store offerings to improve long­-term sales. Knowing more about your customers also means you can provide better customer service to them. 5. Find a location with good traffic: When it comes to securing a location be very careful. Don’t go cheap when it comes to selecting a location because the more customers you attract whether via vehicles or foot, the better it is for your business. For example, if you have a choice between two properties, one [with] a good foundation like Shoprite or KFC, the rent will likely be higher but totally worth it in the long run. The extra earnings will likely be more significant than the extra cost of a great location. 6. Have your customers in mind: It is less about the product and more about customer service and giving these customers a unique experience that they wouldn’t be able to have anywhere else. Therefore, before opening a retail store it would be essential and beneficial to make a solid plan and strategy on how to maximize an excellent customer experience peculiar only to your store, as that allows for referrals and a great word of mouth. We discussed more about customer service here. 7. Finalize your products: You should test your products by either doing some market research to test the market or test your friends and family before going on your business venture. You don’t want to have a bad market or sales once you start fully as that would be dangerous to your new business, so ensure the product are beneficial and worth purchasing to your market niche. Putting all these points to use would enable you to have a successful retail business. Do let us know in the comment section below which key points you agree with the most. PS: Prognostore is the best point of sale software for retailers in Nigeria, wouldn’t you rather grow your retail business with PrognoStore? We look forward to you signing up with us!